It takes a lot to create a Village! Teams are highly successfully in getting things started and moving us along through the growing season. We are forming teams for the fall 2013- spring 2014 growing season. If you have something on your mind write Amy or Seamus and let us know. A few of the ideas I’ve heard so far are listed below. 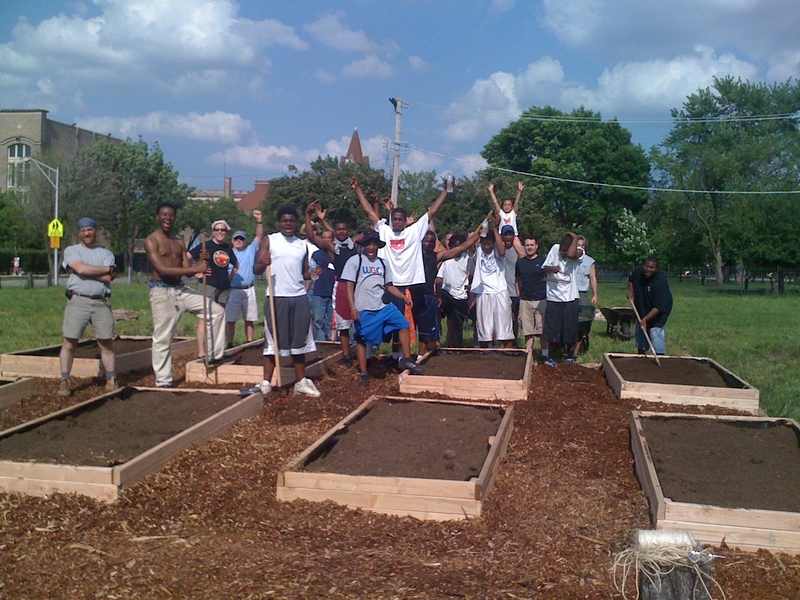 The work we have done with Root-Riot: Harambee and Root-Riot: Madison Street, has generated a lot of interest, and a lot of learning, pass on what you know to others and be a Liaison to an new neighborhood team and help them get set-up for next spring. Looks like two more gardens are gearing up for 2012. Learning session become more challenging as new folks come on and the founding members are seeking deep knowledge. Let us know if you are willing to teach or invite someone to share their knowledge with the Root-Riot community.? Crazy nice bird sanctuary in the back!… Now I’m thinking about the front! We need more bugs in the garden to help our plants grow. What ideas do we have, can they be incorporated with some of the other teams? Nicole, Dean, and the Rest of theComposting team made a strong start last year. 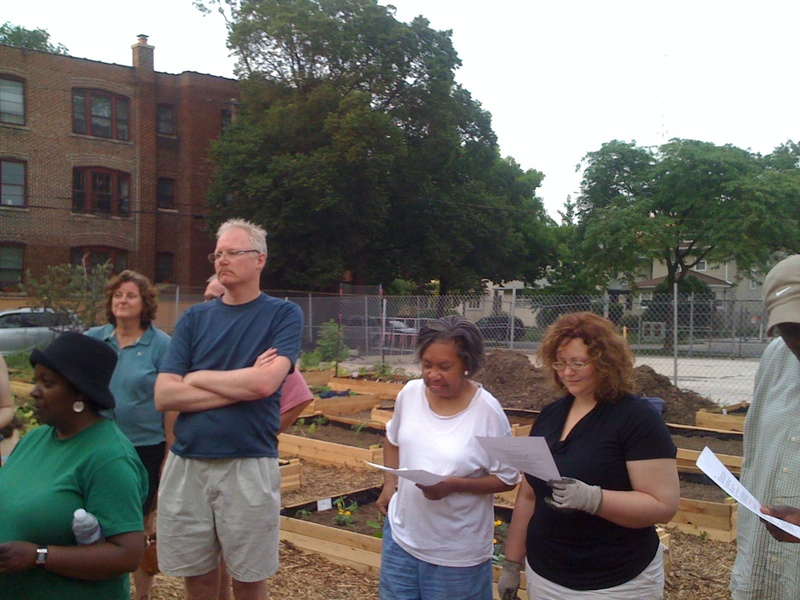 What do we want to do in 2012 to keep or grow the composting area? Or do want to be one of the Compost Keepers and learn about what goes in and what stays out. Learn about tossing, tumbling, and watering, through good old trial and error. Got a text the other day that said we should consider worm composting. What do you think? Interested. Need to put it up for the season. Let me know if you are interested. There was some talk of making a more permanent shade structure for Root Riot Harambee, in the gathering corners near the tree. Let us know if you are interested in working on the during the 2012 growing season. We keep tossing around the idea of a Hoop House. Root-Riot Harambee would be a great place to do it. Bit of space and a lot of sunshine. A fundraiser is in our thoughts. Let us know if you want to help out. How much can we thank the donation of the shrubs for Haramee? What a difference it made. We will have to nurture the shrubs for the first year. Nice watering, mulching, composting and a bit of trimming. Nurturing the Mind and Challenging our understanding of the world. We sure did a lot of talking about a movie series, but I’m not sure we got very far with it. Maybe one or two summer movies? Let’s not over-reach again. Harambee Prairie A couple of folks are interested in creating Prairie in part of the Harambee site. This work will not begin for a few months (Sept to Oct), but let Amy know if you are interested working on this.